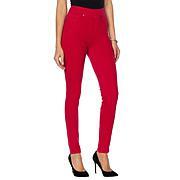 Give your jeans the day off and slip into this sporty jogger that snaps at the lower legs. Perfect for creating effortless looks that are the envy of friends. 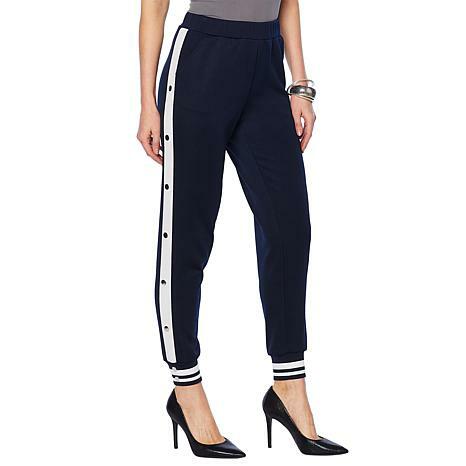 I purchased these jogger pants in both black and navy, along with the matching track jackets. I have worn them on dress down days at school, to Zumba class, and as casual, yet comfortable weekend wear. I am very pleased with this purchase! I hesitated ordering due to reviews but Im so glad I ignored them. 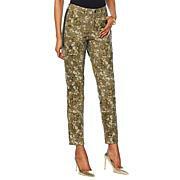 These joggers are so well made and so cute on and I will love wearing them for years. I got the matching jacket too. Im 60 and I think these would be great for teenagers all the way to the older beautiful ladies. Great product. Thanks G. Would love this Im a pale pink in the spring! I love these pants. I ordered the jacket to match! Its darling. I did order one size up on the pants. My normal xs were just a little snug. So happy G is back!! This jogger fits perfect and I look forward to wearing it. Super cute. Another winner G!! !